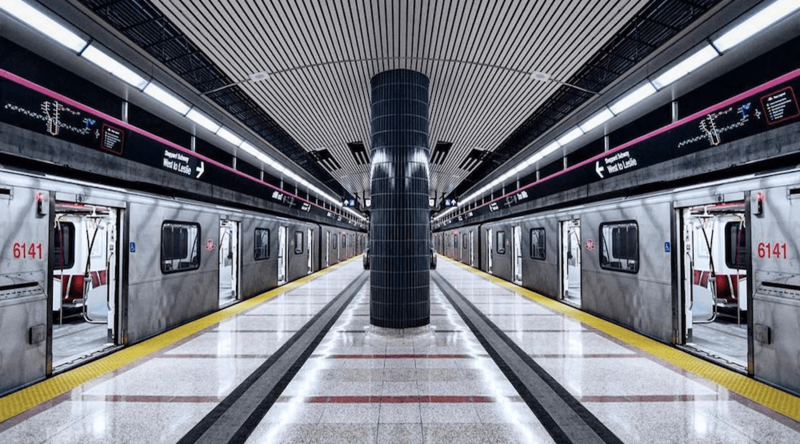 The TTC is launching its new system-wide etiquette campaign next week. The campaign encourages polite and considerate behaviour while using transit… because clearly we need reminders. Using real life tweets from TTC customers, the campaign, called ‘You Said It,’ targets unsafe activities, people who use up seats for their bags, holding subway doors (we all know someone who does this), wearing backpacks on busy vehicles, and everyone’s favourite person on transit, the inconsiderate Torontonian who thinks their $3 transit fare gets them a seat for their feet. 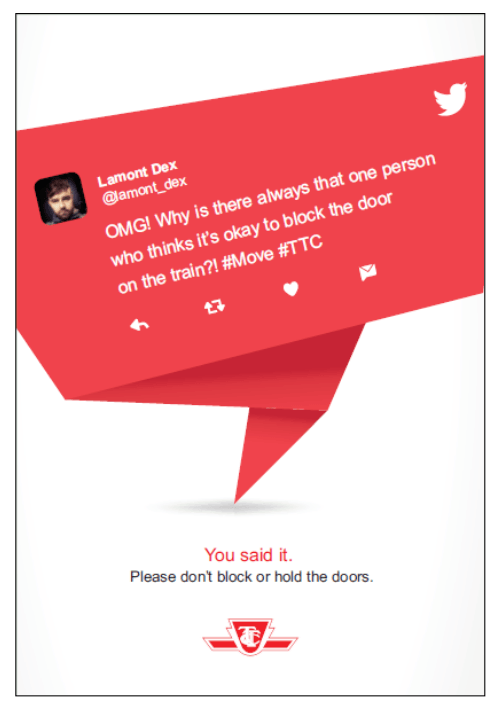 The TTC says many of these behaviours can carry fines ranging from $235 to $425. 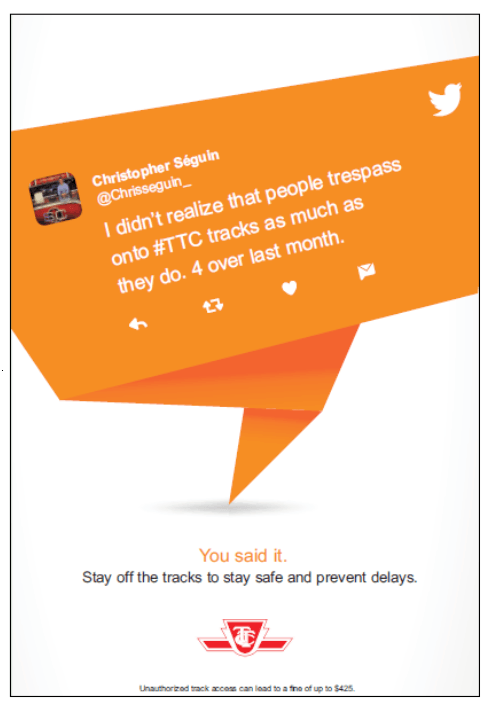 Those who trespass on subway tracks also risk criminal charges. The campaign will run indefinitely and appear on all TTC vehicles and in stations. 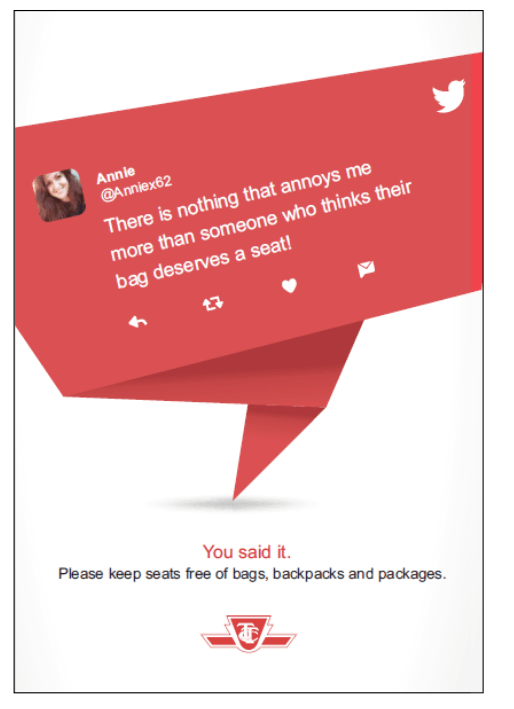 Check out some of the real tweets from the campaign below.